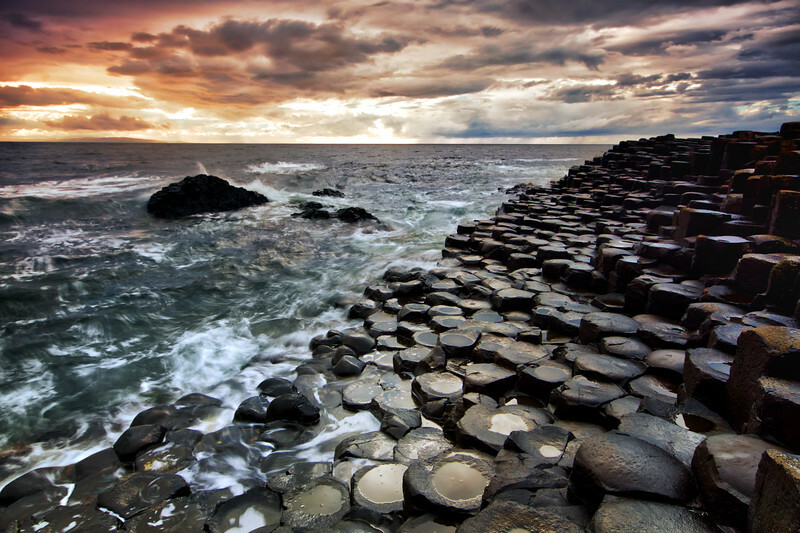 I lived in Ireland for so many years, but I never took the chance to move up towards the north to see Belfast and the Giants Causeway. Until earlier this year. As it was raining when I arrived, all tourists went away and I was left with some awesome friends that stayed with me to see if the weather would break up. And that is exactly what it did. I saw what I believe to be the most amazing sunset ever, with a ground that looked out of this world.